Wake County voters will have more choices in the 2018 state election.Thirteen Wake County Libertarians are running in 13 of 16 General Assembly districts. 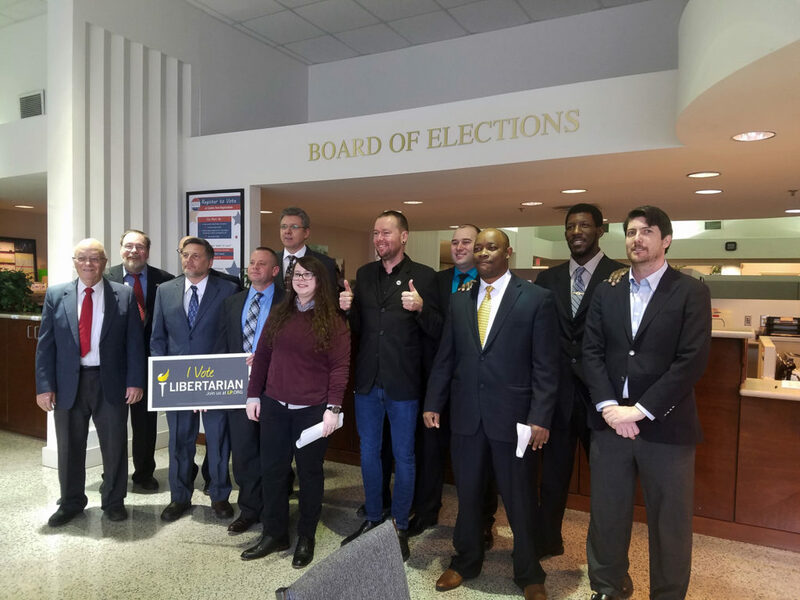 The Libertarian candidates are: Richard Haygood, Senate, 14; Brian Lewis, Senate, 15; Brian Irving, Senate, 16; Bruce Basson, Senate, 17; Brad Hessel, Senate, 18; Travis Groo, House, 11; Cap Hayes, House, 34; Michael Nelson, House, 35; Robyn Haley Pegram, House, 36; Bobby Yates Emory, House, 38; Martin Edwin Matuszewski, House, 39; David Ulmer, House, 40, and; Liam Leaver, House, 41. Eleven of the 13 candidates filed Feb. 13 at the Wake County Board of Elections. “We’re excited that every voter in Wake will be able to vote for at least one Libertarian for General Assembly,” David Ulmer, Wake County Libertarian party chairman and a candidate for House District 40, said in a press release. Ulmer said the party is focusing on a variety of issues, including school choice, licensing and regulation reforms, and health care. The time may be right for Libertarian candidates to make waves, said David McLennan, director of the Meredith Poll and professor of political science at Meredith College. McLennan said the political climate is more amenable to third-party candidates. State polling data, such as the recent Meredith Poll, shows approval ratings for both major parties below 50 percent. “Libertarians don’t get any blame for what is going on in Washington, so they can argue that they are the only party that is the fiscally responsible party,” McLennan said. Jonathan Kappler, executive director of the N.C. FreeEnterprise Foundation, said the political environment — nationally and in North Carolina — is unsettled. “An environment like that creates the potential for unusual election results and nontraditional candidates to garner additional attention they might not otherwise receive,” Kappler said. Kappler, though, said the chances of Libertarians winning seats are slim. “History is kind of against them. We don’t have a long history of North Carolina voters supporting third-party candidates,” Kappler said. “I think people are interested and maybe potentially more open than they have been in years past to nontraditional candidates,” Kappler said. McLennan agrees a Libertarian victory is unlikely, especially against an incumbent, but the party can play the role of spoiler in a tightly contested race. Even if they don’t win, McLennan said, fielding a fuller slate of well-prepared candidates give Libertarians a chance to show they may become credible alternatives.